This route is intended for someone who anticipates seeking contractual work in professional forestry, amenity or arboricultural activities which is likely, immediately or at some future date, to involve felling trees over 200mm (8") in diameter, and/or aerial tree work. Day 1 covers the safe operation and maintenance of a chainsaw. Day 2 covers safely cross-cutting pre-felled timber. 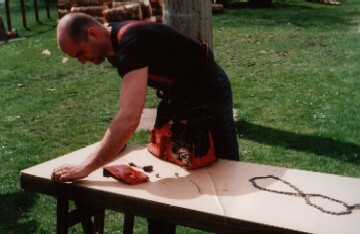 This course and assessment is required for professional chainsaw users. It replaces the old CS30-31 course, and is a combination of the two courses listed above. Days 3-5 spent felling and processing trees up to 380mm. Candidates for this course must hold level 2 awards in chainsaw maintenance, cross cutting and felling trees up to 380mm. Candidates for this course must hold level 2 and 3 awards listed above.